Tottenham boss Mauricio Pochettino says he will have the final say over who leaves White Hart Lane come the end of the season. Spurs look likely to miss out on the top four yet again and are priced at 1/1 to secure a top four finish having slipped seven points behind fourth-placed Manchester United with four games to go. The best the north London outfit can hope for, barring a strong end to the campaign, is a Europa League spot, meaning Pochettino will likely make several changes to his squad during the summer having missed out on the club’s main objective. Recent reports have suggested as many as nine players could leave Tottenham come the end of the season, with Emmanuel Adebayor and Younes Kaboul two of those fancied to part ways with Spurs. Pochettino was only able to make small alterations to his squad last summer after Spurs spent big during the 2013 off-season following the sale of Gareth Bale. The majority of those players signed two years ago were chosen by the club's director of football Franco Baldini and he looks likely to have a big say in their transfer activity again this summer. 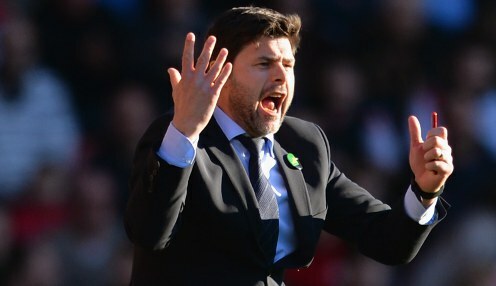 However, Pochettino claims he will have the final say on transfer matters at the club, insisting it should be the coach’s decision to make as to who comes and who goes. "I think the person who has the final decision should be me, no?" He said. "Always the manager and the coaching staff need to deal with the player, in the changing room or on the pitch, and if the feeling is not good between us it is difficult to achieve something. "It is very important that I agree on the players who stay here and the players who we may bring in and it is my decision. If not; if you bring in some players here and I don't know them, then maybe it is not that they are bad players but the feeling with the coaching staff or the manager is important." Tottenham face Manchester City on Sunday, with Spurs 1/1 to come out on top, while City are 1/1 and the draw 1/1.